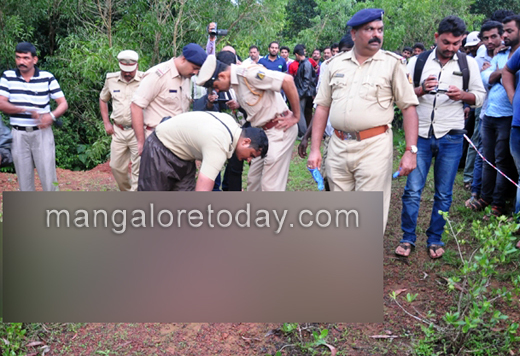 Udupi, July 15, 2016: A body was found in the forest area in Madaga in Hiriyadka region during the evening hours on July 14, Thursday. Additional SP Vishnuvardhan told media that the body was traced by the Hiriyadka police and has been identified as that of Sheikh Mohammed Tasleen, aged 33 years, a resident of Malpe. The father and the wife of the deceased have identified the body. However, they are clueless about the business transactions the deceased carried out. The officer said three teams have been formed to look into the case from all angles. There are also speculations that some cases are registered in police stations in the district in connection with him. The police will now ascertain whether he had registered the cases or someone else had registered the cases against him. The officer said at the outset that it seemed to be a murder. However, the investigation has just begun and the postmortem would be conducted.